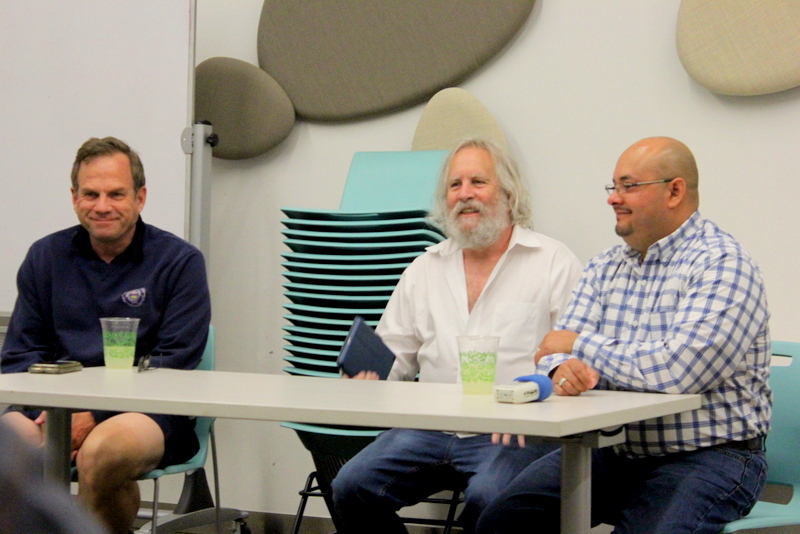 Stan Garnett (l) talks at a Boulder County Progressive Coalition panel discussion titled, “What would a Progressive Attorney General Look Like?” held in May in Boulder. In an interview published in Sunday’s Daily Camera former District Attorney Stan Garnett said that he “totally agreed” with supporters of the camping ban who say that taxpayers who fund public spaces should find the spaces usable to families and children while moving homeless people off of them. Darren O’Connor is a member of Boulder Rights Watch and is calling for the removal of Garnett from Bridge House, an organization that provides services to those who are experiencing homelessness. Our outgoing District Attorney Stan Garnett, with zero qualifiers, expressed in a parting interview that he is down with pushing people experiencing homelessness out of public spaces. Not for camping; not for smoking; not for doing anything illegal. He is promoting people can be pushed out because families with children shouldn’t have to share, in his opinion, public space with homeless people. Of course there is no legal justification for this opinion. It is nothing less than an explicit statement of bias and privilege that has me grateful Mr. Garnett is off to Denver to serve the highest bidder for his legal services. That he would express such an unjustified opinion counter to the law is appalling for someone who dared call himself a progressive public servant. If you feel as I do that no-one with such an attitude towards people experiencing homelessness should be on the Board of Directors of our service agencies, in this case Bridge House, I hope you will respond that you agree. If you have a different opinion, you are certainly welcome to respond with why someone who dismisses the right of people experiencing homelessness to exist in public spaces ought to be in a position to make decisions impacting them. I am certainly curious. To Executive Director McDevitt, I strongly urge you to remove Stan Garnett from your Board of Directors. In doing so, you will send what is sadly a necessary message to people experiencing homelessness, their supporters, and our entire community, that homeless people have just as much right to space and dignity as anyone else in Boulder.